This structure was erected in 1998 and used flat galvanized siding to resemble a vintage pump station. It was initially named the Miller Building and would house the museum’s Miller Gas Engines. 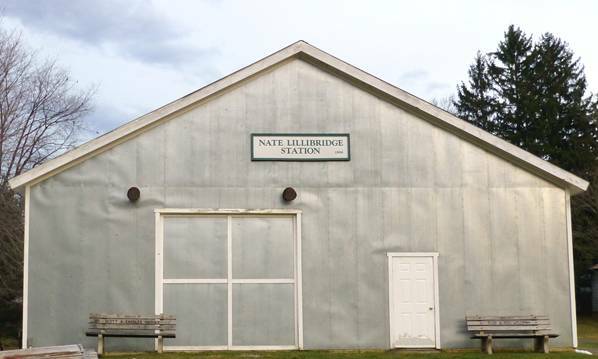 Upon the passing of our friend and volunteer who put so much effort to get the 300 hp Miller running, it was renamed the Nate Lillibridge Station in his memory. His picture remains beside the engine for all to see. Nate Lillibridge Station at the museum.